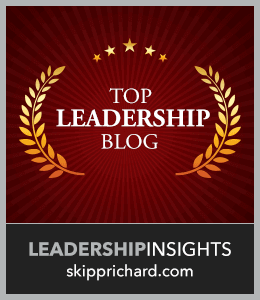 With all the interest year-after-year on effective leadership development, it occurs to me that we don’t seem to be getting very far with our goal of developing good leaders. From Jesus CEO to Mafia Leadership and numerous other clever approaches available to us through the multitude of books, articles, studies, seminars, keynotes, CDs, videos, university and executive leadership programs, coaching, assessments and tests, and online resources of all flavors, not much seem to change in organizational health. At least if you believe the numerous employee surveys that show up regularly, and two, maybe we don’t give bad leaders enough credit for their contribution to leadership development. I have worked with and for dozens of companies in C-level management roles, consulting and executive coaching assignments; I have definitely seen my share of bad (by anyone’s standards) leaders. I have also had to try to be effective inside their organizations. And, while I can’t say I enjoyed working with any of them or that I slept very well while under their “leadership,” I did learn some valuable lessons that have helped me improve my own leadership style and practice while developing my street smarts and political skills. In fact, some of my motivation to continue on the path of a lifelong learner and to seriously take up the practice of my professional is probably the fear that I might end up like one of these sad and misguided souls. So in the spirit of helping others learn from my experiences, I offer this partial list of political rules that have helped me recognize, traverse and remain reasonably rational and sane when caught inside the irrational world of the bad leader. There are no rules for certain; including this rule. About changing the rules: Rules can be added, subtracted and modified at any time without warning or notice and ignorance is no excuse for violating the rules. The tree may die from the top, but the first branches lost are usually from the bottom. Managers have no rights. Due process is reserved only for those groups protected by company policy or company presidents. The business decision-making process is primarily irrational, usually emotionally charged and without a doubt, “it” flows downhill. Personal credibility can be gained, but if lost, it is gone forever. Sometimes when you’re right, you’re wrong and vice-versa. In the game of power, control and influence, compatible values are the organizing factor. And, if you’re not in, you’re out. Some approved management practices are actually management avoidance techniques. In these cases, you have been authorized to manage by not managing. As a rule of thumb, when the top starts to think big, it’s time to lay low. The truth will set you free and in certain cases, it will get you fired. There are several ways of getting fired. Having to leave the company may be the most humane. But, being transferred into a role of non-existence is an equally popular tactic. STAR performers are determined by the informal system which is an exclusive club. Membership by subjective evaluation only. When the game gets dirty, as most do from time to time, the dirty get ruthless and the clean get cleaned. If you choose to forgive and forget all the people-crimes you see committed each day, just remember, you may be the next victim. You can’t judge the leader’s values by happy words, And making sense of the leader’s behavior may test your own. “That’s all I can stands, I can’t stands no more.” – Popeye the Sailor. Like Popeye, we’re all closer to the “line” than we realize. The political game is a “head” game and you always lose when you “lose it.” But sooner or later, you will lose it. In your determination to climb the ladder to the top, you can’t fall up; you can just fall down. How you decide to operate in this irrational situation is up to you. But in the end, maybe it’s not how high you’ve climbed and how much you’ve made; maybe it’s what you’ve become. Do you agree that bad leaders can be good teachers? Can you be on the right side of a bad leader and actually benefit from the relationship? Can bad leaders be really nice people such that you find yourself defending some of their behavior? Have any of you observed or been personally affected by one or more of these rules? I would love to hear your stories and personal experiences! Yes, I do believe you can learn from bad leadership, But their are two direction you can go. My problem is I would take on a challenge other than sit in my box and stair at a wall. Thank you for your comments. I agree with you. I would rather be courageous and true to my values and ethics than sit quietly (play it safe). In my experience, it takes courage and persistence to make a difference that may in some way contribute to the greater good of the organization. Thanks for the piece! It is very “eye-openning”. Is it safe to say that even the most well-meaning leader has some very selfish motivations that have to do with his or her survival? Can we in reality draw a line between a leader and a manager? Please accept my most sincere apology for failing to respond to your comments. I am disappointed in my carelessness. 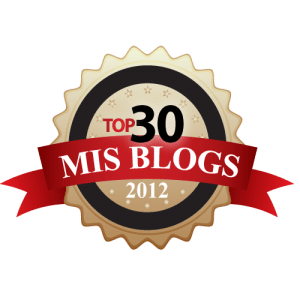 Thank you for reading my blog and for your thoughtful comments. It seems we humans have many motivations some more narcissistic and self serving than others. Regarding the manager/leader question, I believe there is a difference from a vision and purpose standpoint. That said, in doing the work of the company and navigating the system, I would say the rules touch both as each one is caught in the game of organization politics.